The changing seasons seem to be really noticeable where we live. On our recent walks we’ve been collecting leaves, conkers, berries and the winged seeds from Sycamore trees. I’ve enjoyed introducing my children to the fun of throwing them up in the air and trying to catch them. We found some super large one’s so we gathered a few to take home. 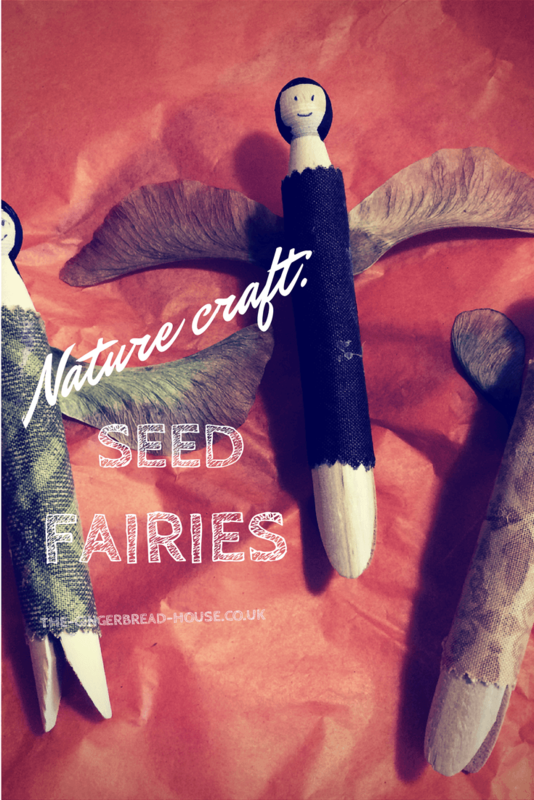 I thought they would make great wings so we made some little Sycamore seed fairies from wooden clothes pegs. First give your clothes peg fairy a face and some hair, I used a permanent marker to draw on the features. Then we chose some scraps of fabric in Autumnal colours which we glued on the body using Bostik Glu & Fix fabric glue. 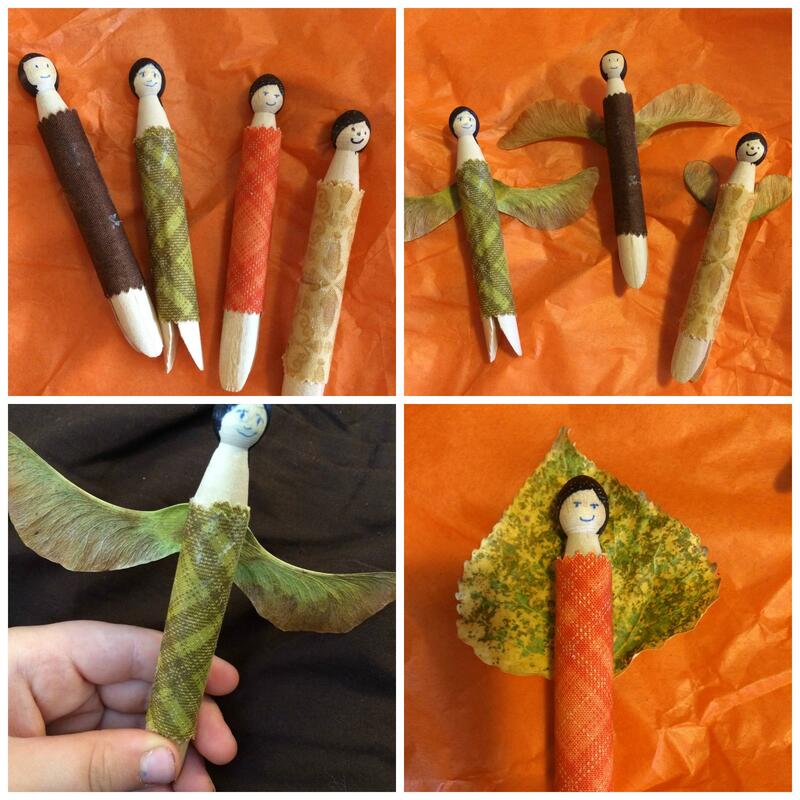 The final step was to add the Sycamore seed wings to the back of each clothes peg fairy. We experimented with all the different things on our nature table but the children loved the seeds. We attached them using a blob of blu-tack so we could reposition them and change them around but you could use a more permanent glue. I hope you like our little Autumn craft. Clothes peg people are great for imaginative play so I can see we’ll be making some more of these. What a fantastic simple idea for an autumn craft, I love it!